On today’s show, Chris talks about a connection between Vitamin D and Diabetes that could literally change your life! and what you can do to get the D, you deserve. As you may know, Vitamin D, also known as the sunshine vitamin, can be produced in the body with mild sun exposure. Vitamin D is also found in foods and supplements. But what you may be surprised to learn is that researchers, in a recent study, found that people with low levels of Vitamin D were more likely to have Type 2 diabetes, prediabetes, and metabolic syndrome than people with normal levels, regardless of how much they weighed! There was a direct correlation between the level of Vitamin D and Glucose levels but not with Body Mass Index or BMI. So if your level of vitamin D is low you are at a higher risk for diabetes regardless of your weight and if you are overweight the risk is even greater. How does a lack of Vitamin D impact how your body functions and your risk for diabetes? First, Vitamin D, which is actually a hormone, works to regulate the expression of hundreds of genes in the body including functions that help manage blood sugar. Secondly, Vitamin D can help your body produce more insulin and respond better to the insulin you produce by lowering inflammation. Finally, researchers believe that vitamin D helps your immune cells act smarter. In autoimmune diseases like type 1 diabetes, your cells make mistakes and end up attacking your own body. Researchers believe that getting enough vitamin D helps your cells make fewer mistakes allowing you to prevent or manage autoimmune diseases better. All of this is really big news because it’s estimated that over 1 Billion people worldwide have deficient levels of vitamin D and diabetes will be the 7th leading cause of death in the world by 2030. How do you know if your vitamin D levels are low? Here is a quick checklist to help you determine how likely you are to be low on vitamin D.
The first question, Are you feeling sad or down? If you’re feeling down you may be deficient in vitamin D. The reason is that vitamin D increases serotonin levels and serotonin is a brain hormone which is directly related to your mood. When you have low levels of vitamin D it’s like you’re turning down your happiness. Without the right amount of vitamin D your serotonin levels are reduced and that can negatively impact your mood. When determining how likely you are to be deficient in vitamin D another consideration is your age. As you get older the likelihood that your deficient in vitamin d increases because after 50 the body has a more difficult time synthesizing vitamin D from the sun and utilizing vitamin D from foods. To compound the issue, older adults tend to spend more time indoors out of the sun. If you’re overweight or obese you’re more likely to have low levels of vitamin D. You’re also at greater risk for diabetes and other major health concerns. Vitamin D is a fat-soluble hormone and excess fat in the body acts like a sink, draining vitamin D away before your body has a chance to benefit from it. Do you have bone pain or muscle weakness? While these symptoms can be subtle both bone pain and muscle weakness may be signs you need more Vitamin D.
Do you have darker skin? Finally, your skin pigment is a major factor since your body synthesizes vitamin D from direct sunlight on your skin. If you have darker skin you’re more likely to be deficient because your skin is acting like a sun block. If you answered yes to any of these questions you may be deficient in vitamin D. The best way to know for sure is to see your doctor for a “Vitamin D” blood test. So why is it such a challenge to maintain appropriate levels of vitamin D? After all, our bodies produce it and all we need is the sun right? It’s true that direct sunlight is your primary source of vitamin D however it can be difficult to get all you need. Where you live, the seasons, and even length of daylight can limit your options for direct sunlight. Cloud cover, pollution, and smog can reduce the effect of UV radiation further. And wearing clothing, sunglasses, and sunscreen to protect your skin from sun damage also blocks UV rays that promote vitamin D.
Diet is another source of vitamin D and including foods like milk, eggs, liver, Salmon, Cod liver oil, and swordfish can help. However, if you’re like me, many of these foods just aren’t a regular part of your daily diet. With all these factors working against us, it’s no wonder so many people in the U.S and around the world lack the Vitamin D needed for optimal health. So what’s the answer? How do you get the D you deserve? 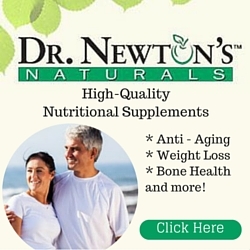 You need to add a high-quality vitamin D supplement and the one I recommend is: Dr. Newton’s Sublingual D3. Supplementing with a high-quality vitamin D supplement like Sublingual Vitamin D3.